An intensifying race for the title headlines a rich array of fixtures in the Bundesliga. Bayern Munich lead Germany’s top division on goal difference after turning on the after burners to overhaul long time leaders Borussia Dortmund. On Saturday Robert Kovac’s Bavarians are overwhelming favourites to topple Freiburg in the Black Forest. Earlier this week Bayern Munich underlined their undiminished appetite for more success by signing France’s World Cup winning left back Lucas Fernandez for a club record £68m. He will join the Bavarians next season along with fellow Les Bleus world titlist Benjamin Pavard, who is currently on loan at Stuttgart. It’s a throwback to the early part of this century when Frenchmen Bixente Lizarazu and Willy Sagnol manned the full back positions. Rivals Dortmund have a more challenging fixture at home to Wolfsburg but Signal Iduna Park boss Lucien Favre will demand maximum returns from his boys as they look to steady the ship. The Black and Yellows have a full compliment of players to choose from as the fabled front three of Marco Reus, Jadon Sancho and Paco Alcacer all returned from the international break fully fit. 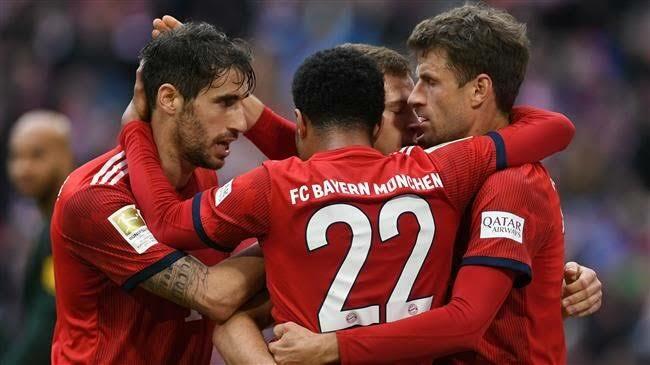 Bundesliga action commences on Friday night with Hoffenheim hosting Bayer Leverkusen in what is expected to be a no holds barred contest between two high scoring outfits. An upturn in form from visitors Leverkusen has seen one of the division’s most attractive sides challenge for a place in Europe. Julian Nagelsmann’s Hoffenheim will be a litmus test for their ambitions. At the opposite end of the standings, Thomas Ball’s relegation threatened Hannover host struggling Schalke in a six pointer. Defeat to a Schalke outfit still finding it’s bearings following the dismissal of coach Domenico Tedesco will almost certainly imply relegation. Three points are of equal importance to troubled Nuremberg, who are at home to Augsburg. Stuttgart currently occupy the playoff position but they face the onerous task of a trip to an Eintracht Frankfurt side just one point outside of Champions League positions. Stuttgart’s back line are certain to have a busy afternoon trying to contain Frankfurt’s lethal attacking triumvirate of Sebastian Haller, Luca Jovic and Ante Rebic.